Here’s Judy on the right with Rineke her new friend. 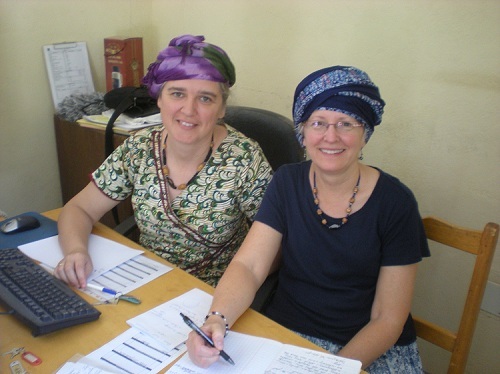 She is teaching Judy what to do in her new role as hospitality for members coming to the center in N’Djamena. She will make sure their lodging is arranged and ready for them. She remembers how good it felt to have some bread, butter, bananas and jam in the fridge for breakfast their first day in town. Here’s Jim’s new best friend. 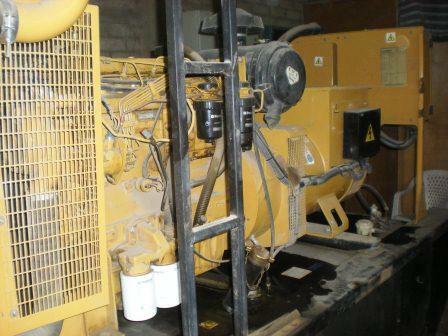 It’s a 135 KW diesel generator. He spends time with it several times a day either turning it on or off. The city electricity is off about 60% of the time. The residences of the center want Jim and the generator to remain good friends. A short grammar lesson on pronouncing the name of the city where we live: N’Djamena. With your mouth closed you hum the “n” ignore the “d” and just say “jamena”. Got it? We are glad your are getting settled in your new environment. We already miss you a lot. We will continue to pray for a good transition and that all goes well with the new staffing.